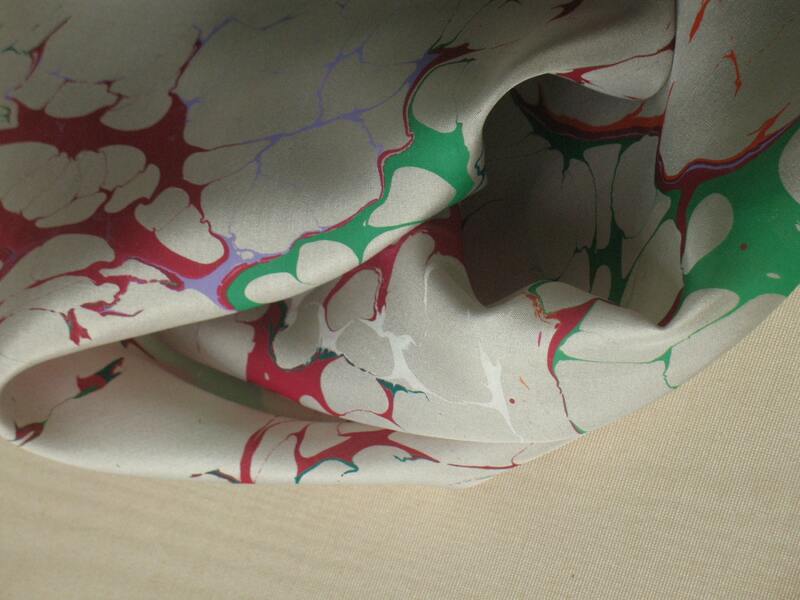 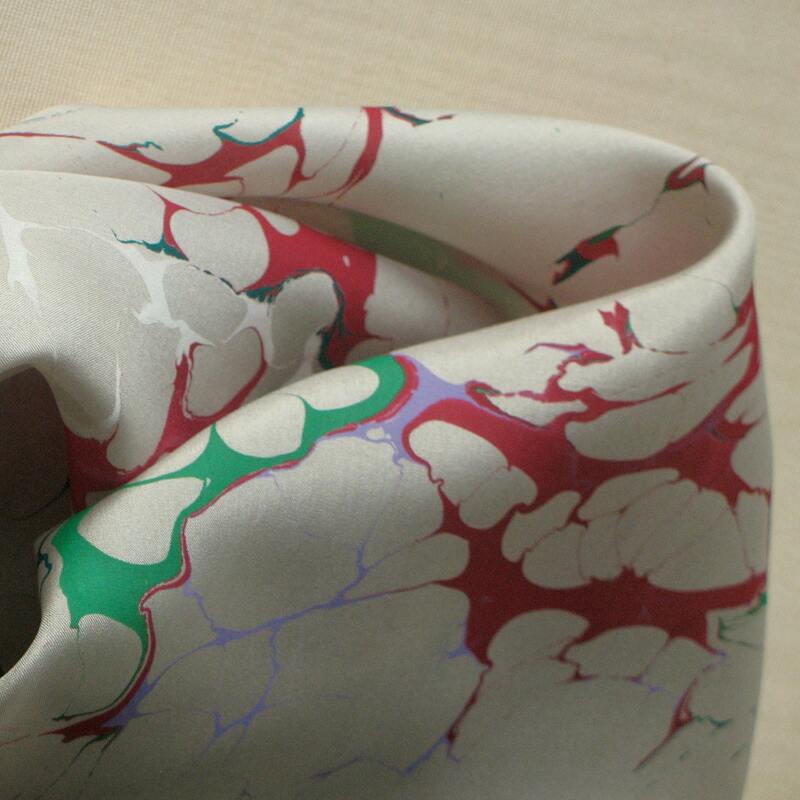 Silk scarf, dynamic colorful hand marbled from Brooklyn Marbling- Free Shipping in the USA! 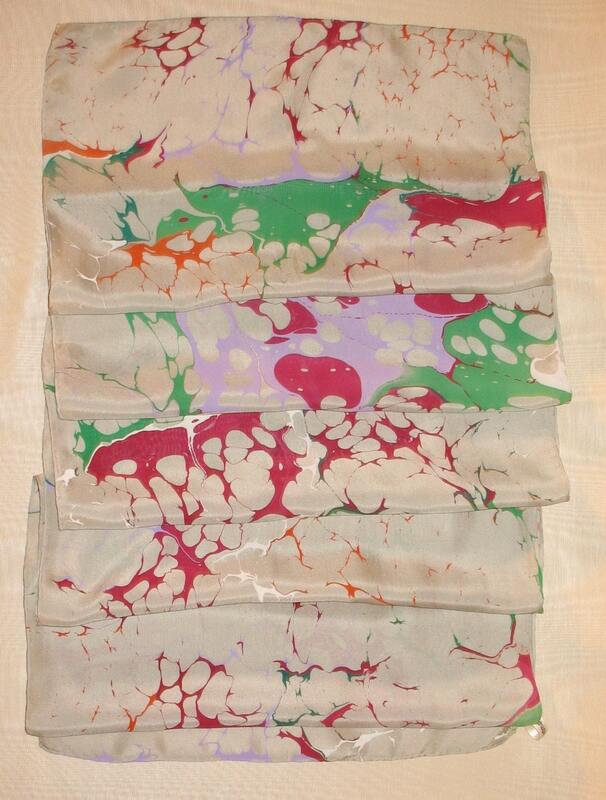 The light green back ground of this scarf give the bold colors a great contrast and sets them off. 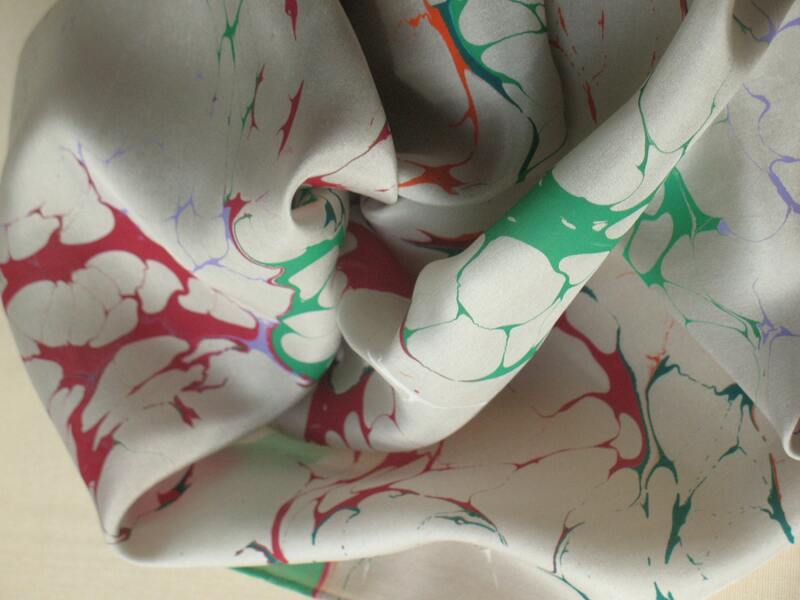 They all come through individually giving versatility to its uses in your wardrobe.